Michael is a Paraplanner Assistant who joined our team in 2016. 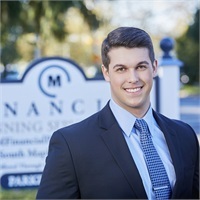 He works closely with Scott and Eric to assist with financial plans, as well as provide planning research and support. Michael studied at La Salle University for a dual degree in finance and marketing. He enjoys watching and playing sports, as well as spending time with his family and friends.